If you couldn’t attend this year’s convention here is your chance to see what you missed. If you did attend here is your chance to remember what you saw. We have extended the time to order. If you haven’t order one of these you need to do it now. We have enough for production so if you order you will get one of these wonderful DVD filled with one of our greatest conventions. Do it now. Click here to order. For the 2007 NYCSHS Convention in Niagara Falls, NY, we had the opportunity to ride the Hickory Creek, the magnificently restored (at the cost of nearly one million dollars) Pullman private car as it made its way to the Convention at Niagara Falls, NY. If you missed it this is your chance to see it in all of its glory. If you were there, you can live it again with this DVD. This broadcast quality DVD was shot on board the Hickory Creek in the spring of 2007 and includes a thrilling 80 mph helicopter chase from Utica, NY down the Mohawk Valley to west of Rome, NY. 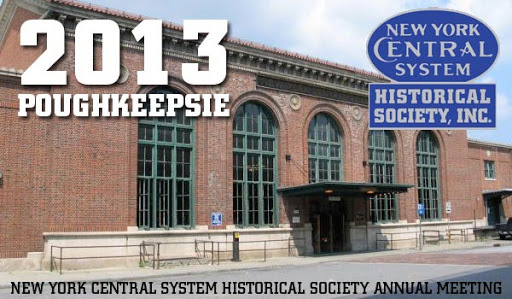 The footage includes all the current railroad stations on the world famous New York Central System’s Water Level Route, from Albany to Niagara Falls, NY. Meet the on board crew of the Hickory Creek and listen to their memories of the “golden era” of train travel as you tour the interior of this beautifully restore Pullman. The DVD features some very rare 16mm film coverage of the 20th Century Limited in the 1930’s, 40’s and 50’s. It also includes an unforgettable departure from Grand Central Terminal in 1954. Go to the NYCSHS “Store of the Future” to order this DVD. Remember to pre-order your NYCS 19000 cabooses found under >>More News…. Below. This entry was posted in Annual Convention, NYCSHS "Collinwood Shop" Your NYCSHS Hobby Store. Bookmark the permalink.